January 25th marks one year since we unexpectedly lost Mom to a heart attack. The news of her death brought on a series of trips back to Chicago to help my family go through her things and tie up loose ends. In the quiet hours of the night, generally my time because I’m a bit of an insomniac, I went through her CD collection. I added nearly everything to my iTunes because I’d never be able to lug it all back on the plane. Nevertheless, I’d decided I wanted to get to know a side of Mom I never really knew. 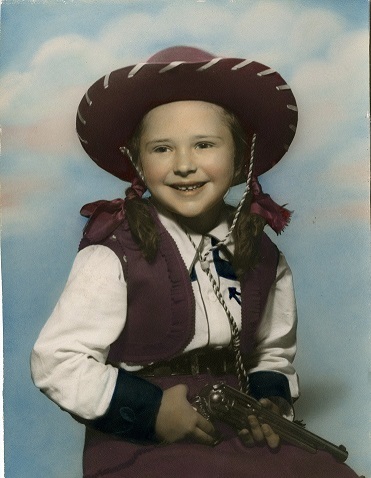 In our house, Mom’s music was always dominated by my music, my brother’s or Dad’s; he’d never been able to handle yodeling folk singers or wailing female vocalists, so she mostly listened to them in private. My brother and I, being teens, always hijacked the car radio, so that venue was out-of-bounds too. Needless to say, it was an eye-opener when I started ‘letting’ Mom control the radio when I became an adult, and got to know a bit more about what she liked. Here’s a selection of what I found in her collection – new-found loves from an old one. Enter Public Enemy Number One from my childhood. There were always Joan Baez jokes in the house, yet I never got to hear her and what the fuss was all about. Despite all that, she was one of Mom’s favorite singers. One of the best memories I have of the last couple years with Mom was taking her to a Joan Baez concert and seeing her sing along with every single song – a whole catalog I’d never heard before. It must be genetic, because now I love her too. Public Enemy Number Two. I’ve made up for lost time with Buffy. I’m completely drawn in by her raw emotion and powerful subject matter. Bluesy, uplifting, and such an incredible voice. King is the kind of vocalist I’m a little surprised I didn’t come to all on my own. Mom discovered Aaliyah through her fervent love for Jackie Chan. After seeing the 2000 film Romeo Must Die, in which Chan co-starred with Aaliyah, Mom went out and bought all the Aaliyah she could find. Other than liking my Fugees and Lauryn Hill albums, this was about as far as Mom got into hip hop and RNB. Aside from owning a copy of Legend, which seemed to be standard issue for college students, I never paid much attention to Bob Marley. Mom, on the other hand, loved him. It was a running joke that I had stolen one or more of Mom’s Marley albums because she’d always misplace them. My copies of Bjork, Beastie Boys, Beck, and Fugazi albums tended to mysteriously wind up in her CD booklets, but that’s neither here nor there. I still maintain my innocence in the matter of wandering Bob Marley, though I’ve been enjoying the albums I added to my iTunes. Twangy hobo ballads and stirring protest songs: they fit right into my new life out West. It’s nice to see how these songs follow the narrative of the region I chose to move to, and make me think of Mom’s past as a student activist. These are just a sample of the wealth of new music I inherited from Mom. It’s been reassuring to quickly feel a connection with the artists that Mom listened to in her free time. Even if these artists weren’t a presence in my childhood, there is something there that is deeper than familiarity – somehow these artists are family. This entry was posted in Music and tagged Aaliyah, Bob Marley, Carole King, Female singers, folk music, Joan Baez, losing a parent, mothers, Woody Guthrie by Lisa. Bookmark the permalink. I was super-close to my Grandmother. When she passed away I found her secret stash of Barry Manilow music. I now have a fond appreciation for that man, whom I’d swore I hated when I was younger but now can’t help listening to whenever I miss her. I love it! Love and memory can conquer even Barry Manilow.